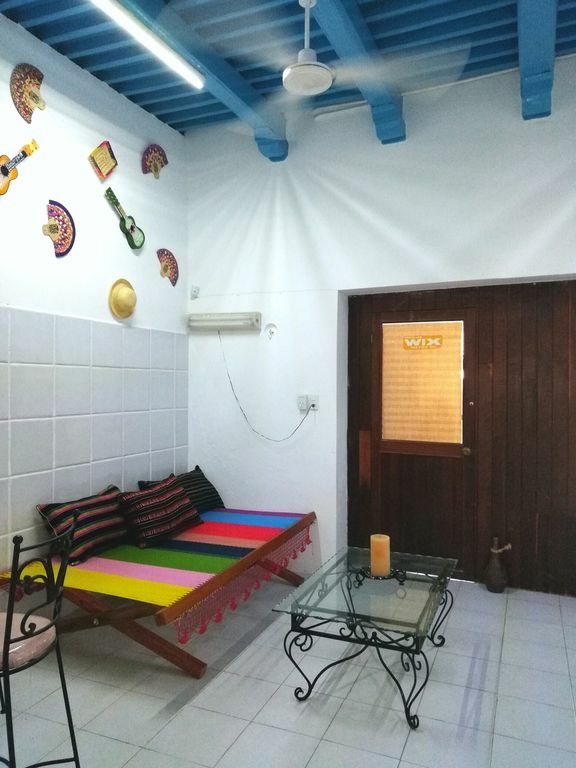 It is a restored house located in the San Francisco neighborhood, one of the oldest in the city, a few steps from the San Francisco portals, where you can enjoy typical food of the city and live music. The hostel has three double rooms and one for four people, kitchen, telephone and breakfast room, a bathroom and a half bathroom to share. the rooms and the room have air conditioning, towels, and the kitchen is aquipada to prepare their food. Near the hostel is the church and park, laundry, economic kitchen, grocery store, shopping plaza, cinema, wallmart, and the historic center of the city is also nearby. MEXICAN ARCHITECT, I LIKE A LOT TO TRAVEL AND ANIMALS. RESTORED HOUSE LOCATED IN THE FAMOUS DISTRICT OF SAN FRANCISCO PART OF HISTORICAL HERITAGE OF THE CITY.